Kyiv could not beat in its field in the third round of the group stage of the European League the Swiss Young Boys which knocked out the capital team from the Champions League. The meeting between these teams ended in a 2: 2 draw at the Olympiysky National Sports Complex in Kyiv on Thursday. Guests twice went ahead after the goals of Ivorian forward Roger Assale, and Dynamo leveled the score by the efforts of Dieumerci Mbokani and Mykola Moroziuk. Skenderbeu and Partizan played a 0:0 draw in another match of the group. 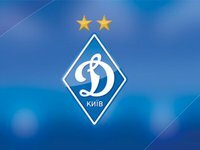 After three rounds, Dynamo leads the group with seven points. Young Boys has three points, while Partizan and Skenderbeu have two points each.